Looking back at my diary entry for 28 years ago this very day it started off as a fairly ordinary Thursday. The night before I’d been to see Rod Stewart at Wembley Arena with good my friends Max, Phil and James . It was a pretty riotous night – the diary notes that I consumed 6 vodka and limes and a Harvey Wallbanger in the pub before the gig though we didn’t call it binge drinking back then, we just enjoyed having a good time! Next morning December 4 1980, The postman woke me up as I shrugged off the inevitable hangover bringing an LP size package containing the latest Zep bootleg Flying High requirement – an excellent recording of the Fillmore West April 27 ’69 date. Later I phoned Swan Song and spoke to Sian for a while though there was seemingly no major news. I then took some of the some of the freshly printed TBL 5’s round to the post office to send off. Around 4.30 a story on Radio One’s Newsbeat stopped in my tracks. It announced Led Zeppelin had released made a statement to the effect that they could not continue as they were. After Bonzo’s death It was pretty evident that they would be splitting – I’d been in Swan Song a few weeks back and the atmosphere was one of complete loss, but hearing they had officially announced something was still a major shock. I immediately phoned Sian at Swan Song but she was making no comment. The last thing I wrote in my diary that night was equally dramatic. The next week the ‘Zep to split’ news story was buried somewhat under the barrage of press for John Lennon’s tragic murder which occurred on December 8. These were strange days indeed. I guess I never really got to grieve too much about it all in the wake of Lennon’s death. That reality would come early in 1981 with Robert’s ‘’No Led anything’’ comments as he began The Honeydrippers gigs. 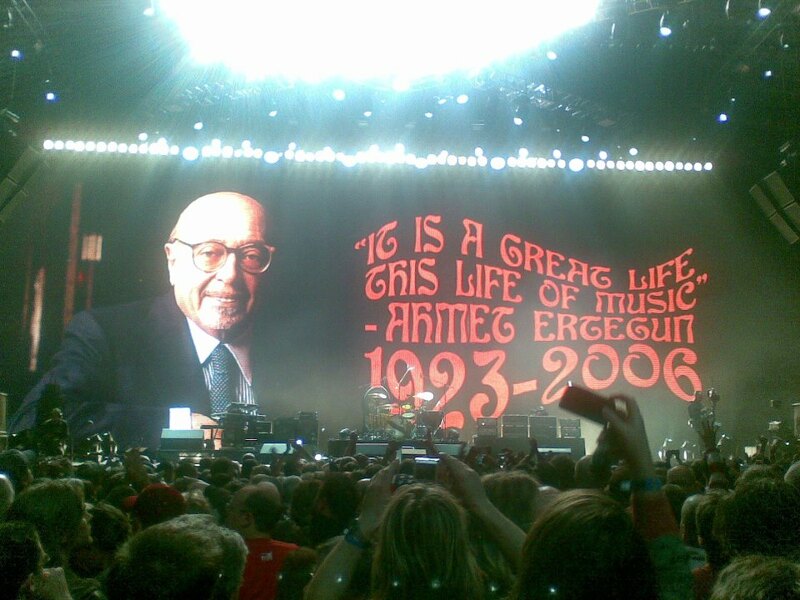 27 years on, that part of me that died on was resurrected on the night of December 10 2007 and next Wednesday will signify the first anniversary of that historic Led Zeppelin’s O2 reunion concert for Ahmet Ertegun. Some thoughts one year on:. The evening itself – well the whole event still carries for me an almost surreal feel. A point Mick Wall also picks up on in his book. Was I lucky enough to see that Sunday night rehearsal? Was I really interviewed for the BBC six o clock news? Did I really witness Led Zeppelin performing For Your Life? Did the tears stream down in Stairway? Did I see Maureen and Logan dancing frantically in front of me as Robert gestured towards them in Rock’ N’ Roll? Did Noel Gallagher really tell me Kashmir was ‘’fookin’ awesome’’? Well incredibly the answer to all that is yes. Looking back at my diary over the days leading up to, and after the event it makes for some memorable entries. It was a whirlwind course of events…from the controversy of the tickets, the media barrage that preceded the gig, lots of personal stress to fit it all in (not least losing my mobile phone for a few hours the week before). Emotions were running high and manifested themselves in differing ways. Then there was the pressure above everything to take it all in. To relish in the moment because it surely will never happen again in those circumstances. And thanks to many people that made it what it was… Jose, Graeme, JR, Brian Knapp, the two Gary’s…so many fans in the Pilot Inn who came so far (on a blind date) and of course Jimmy, Robert, JPJ and Jason. I did soak up every minute of their amazing performance and the event itself. Since then….well there’s been the mountain of favorable press reaction, the ever evolving will they or wont they saga, Robert with Alison, Jimmy and JPJ with the Foo Fighters, awards and accolades galore… and then Robert’s statement and the news that the fab three intend to carry on regardless. The waves of aftermath of that truly incredible night continue to soar. The final proof of the new issue of Tight But Loose issue 26 came though yesterday. Looking through it for the first time I was reminded of the recent words of another magazine editor and a very notable one – Jann S. Wenner who founded the influential Rolling Stone magazine over four decades ago. Rolling Stone is still one of my favourite magazines. Despite the so called feud with Zep (which really stemmed from an and review of the first album), the US oracle has always served Zep very well – in my loft I have countless editions carrying incisive Zep news stories, extensive album reviews (Physical Graffiti is a gem) wonderful features (the 1975 Cameron Crowe cover story a similar Plant 1988 cover interview, a 1994 Unledded Page & Plant special and last year’s perceptive David Fricke reunion piece) – all lit up with style and vision. “What never changes is our DNA. A great magazine is a set of voices and values, artfully and urgently translated into great stories and pictures. The soul and mission of Rolling Stone remains the same as a magazine coming out of midtown Manhattan as they were when we published from a warehouse district loft in San Francisco. We believe in the magic of rock n roll and that the magic can set you free’’. Tight But Loose is of course hardly in Rolling Stones league and 22 issues over 30 years may not be prolific. But we are still here three decades on forging ahead chronicling the world of Led Zeppelin with a mission to bring every reader closer to their music. Looking at the newly completed issue, it’s another fine example of those voices and values as described by Jann S. Wenner. 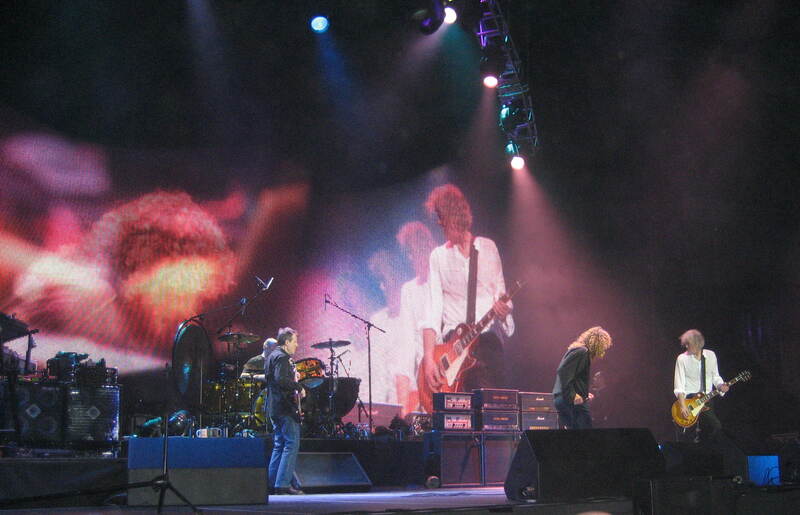 With Tight But Loose I believe in the magic of Led Zeppelin…and that the magic can set you free. As it did so magnificently one year ago. On the 4th August 1979 when I was just 16 I attended the Led Zeppelin concert at Knebworth Park. At the time I only had 3 albums, ‘The Song Remains the Same’, ‘IV’ and ‘Houses of the Holy’. But by the time the concert had finished I had become a life time fan, and let’s remember that this was not a particularly cool or trendy thing to be in the punk/ska landscape of 1979/80. I then spent the next two years using my Saturday job money to complete my Led Zeppelin collection and started subscribing to ‘Tight but Loose’ I read the reviews of the 1980 concerts in Europe and waited excitedly and expectantly for the next Zeppelin concerts in the UK, this time confident that I would know all the songs. Little did I think that it would be 28 years before I would get the opportunity to see them again! But as the old adage goes ‘Sometimes, the best things are worth waiting for’ and this was definitely worth waiting for! There is and never will be anyone like them. They are magnificent. Looking down from level 4 I could see the four of them walk on stage and tear into ‘Good Times, Bad Times’. From up in the Gods, Robert Plant didn’t appear much different from the way he did at Knebworth. For one moment I thought he still had the same shirt on. Every song was a testament to their raw talent, hard work and sheer dedication. Never has there been a band where each member perfectly compliments one another and contributes so much. At one stage my younger brother, fellow concert goer and general good guy who got up at 3 am to enter the ballot said to me ‘Listen to that sound, there is only four of them down there, how do they do it!’. During the late seventies Zeppelin were derided for being Dinosaurs by the music press. This is a band that is not extinct; it is a band still in its prime with more, so much more to give. The set order has been listed in many other places so I won’t dwell on that here but am just going to highlight one song if it is possible to highlight anything in an evening which was a 2 hour highlight. Although ‘Dazed and Confused’ is a great song I always found Jimmy Page’s extensive use of the violin bow a little tiresome on ‘The Song Remains the Same’ album and indeed at Knebworth. However, at 02 the timing had been slimmed down and it became an intense emotional experience. The accompanying pyramid of lasers helped to time warp me back nearly 30 years to that long summer’s night of my youth. It was at this point that the emotions took control of me. I had managed to keep it together through all the preceding wonderful songs but the shock of the divine beauty of those ethereal sounds unlocked the flood gates and the tears streamed down my face. 28 years, 1 divorce, 3 children, a failed and then rebuilt career were stripped away and I was once sixteen again. Led Zeppelin are a living legend. The adjectives do not exist in the English language to describe how good they are. Academics believe that the word genius initially came into use to describe Shakespeare. We need a new word to describe Led Zeppelin.